Not every company has a forklift on-hand as part of day-to-day operations. 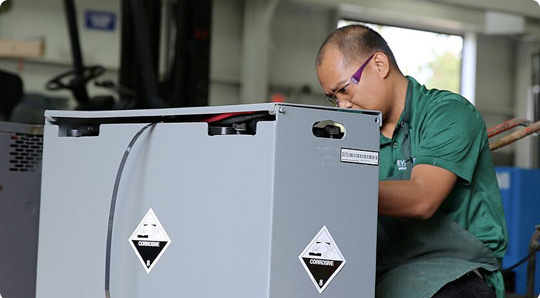 If you only need forklift batteries for a temporary job, or if yours happened to have run out on you during an inopportune time, we’ll rent batteries to you for a fraction of the cost of a full purchase. Even better, we’ll educate you so you know exactly how to use them properly—and get the most out of your investment. We can also find you forklifts to rent—just tell us what you’re looking for, and we’ll track down the perfect option for you.